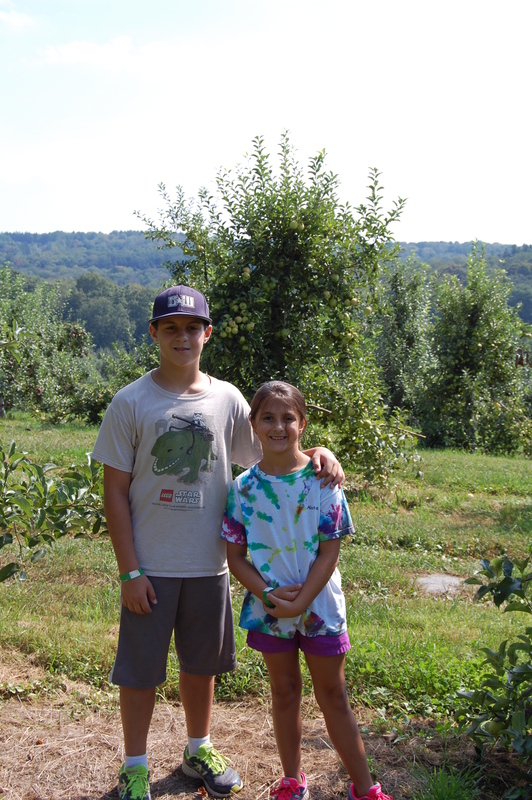 It’s that time of year in New England when we take a day to go to an orchard and pick apples. But there are so many varieties. Which ones do you pick? 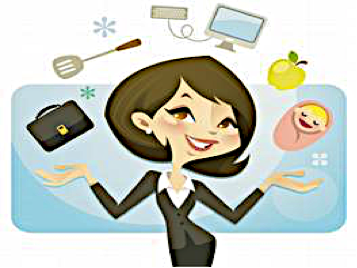 What do you do with them when you get home? To be honest, even though we do this every year, I had no idea what each variety is good for, we just picked! So I decided to do my research and share it in case there is anyone else out there who is clueless as to what to do with a bowl full of apples. I’ve put together a guide of the kinds of apples you might find at your local orchard and what each variety can be used for (besides eating of course)! We live in Connecticut and enjoy going to March Farm in Bethlehem. 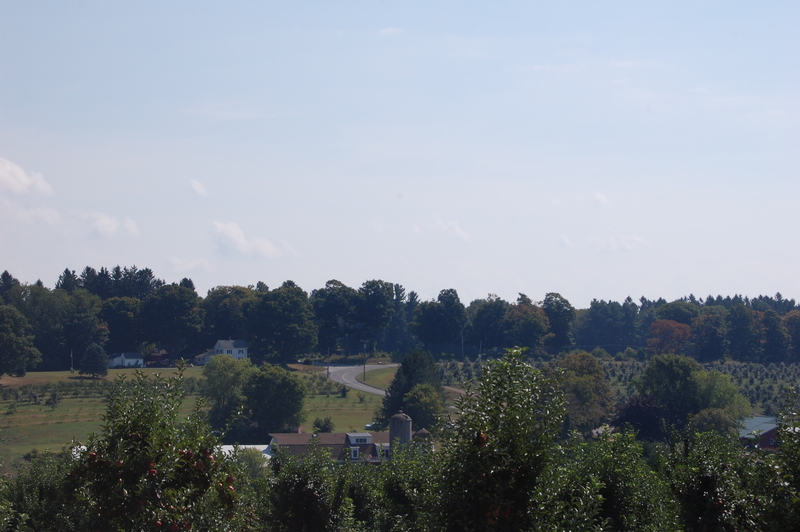 They have a lot of trees in their orchards to pick from as well as playgrounds, corn maze and shop. 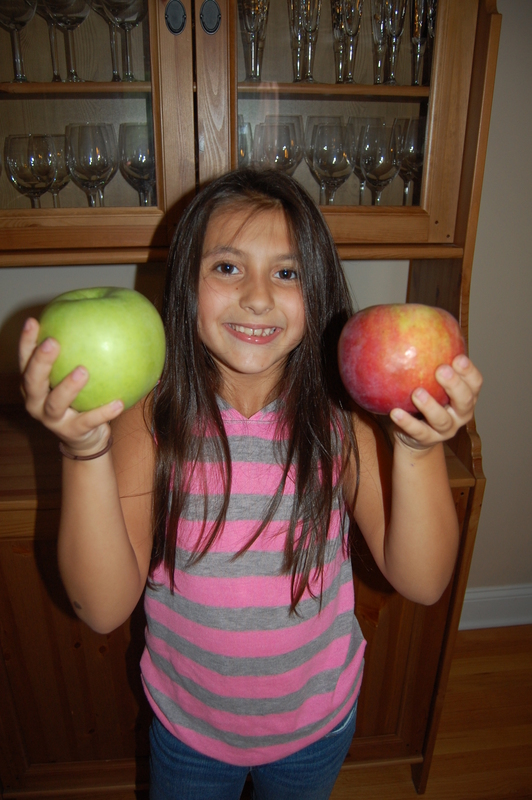 And look at the size of those apples!! Thanks to ctapples.org, I am able to provide myself and you with some information. Epicurious also has a great guide on varieties http://www.epicurious.com/archive/seasonalcooking/farmtotable/visualguideapples. With their wine-red color with gold accents, Macouns are highly regarded for their aroma and sweet-tart, juicy flavor. Excellent for snack and desserts and good for all culinary uses. Developed in 1909 from Jersey Black and McIntosh parents. Ripens in mid-September. Red-orange, with yellow stripes. A sweet crisp flavor and texture. Very good for salads and sauces. Introduced in 1934. Ripens in late September. 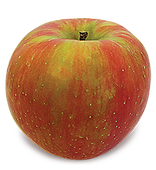 A larger apple good for baking, with a deep, purple-red color. Moderately juicy and fairly sweet. Their white flesh doesn’t brown when sliced so Corlands are a standout for fruit salads, dipping in toppings, or eating wit a plate of sharp cheddar cheese. Developed in 1898, across between a McIntosh and Ben Davis. Ripens late September. Bright golden red. Their tangy taste mellow at maturity. Excellent for snacks and all culinary uses. Developed in 1942. Ripens in late September. Deep red skin brushed with gold and green. The Empire is mildly tart-sweet and has juicy quality dessert apple, good for all culinary uses. A newer variety introduced in 1966 from McIntosh and Delicious parents. Ripens late September. Green with yellow highlights. Tangy sweet. Best for cooking and baking. Dates back to 1700. Ripens in September. Deep red over yellow skin. Produced from a 1960 cross of Macoun and Honey-gold. Exceptionally crisp and juicy texture. Its flesh is cream colored and coarse. A large apple excellent for desserts. Ripens late September. Red and green skin. Juicy, tart-sweet taste is good for snacks and salads. Introduced in 1936. Ripens in late September. Red blush with green and yellow stripes. Crisp, firm, juicy flesh. Developed in Japan in 1939. Ripens in October. Bright red with gold. Crisp and juicy, Jonagolds are good fresh, in salads, and for cooking and baking. 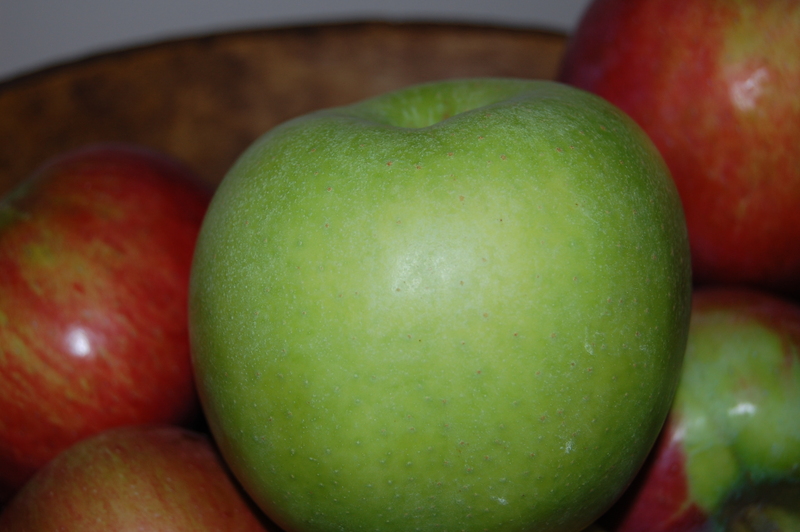 Introduced in 1968 from Golden Delicious and Jonathan parents. Ripens in October. The unique shape of this red apple tapers to a five-knobbed base. Sweet, tender and juicy. Best for crunching out of hand and in fruit cups and salads. 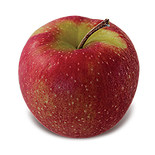 Developed in 1872, Red Delicious is America’s most plentifully grown apple. Ripens early October. Golden or light-green, with pink blush. Tender, mellow, sweet. Wonderful fresh and in salads. Developed in 1912. Ripens in October. 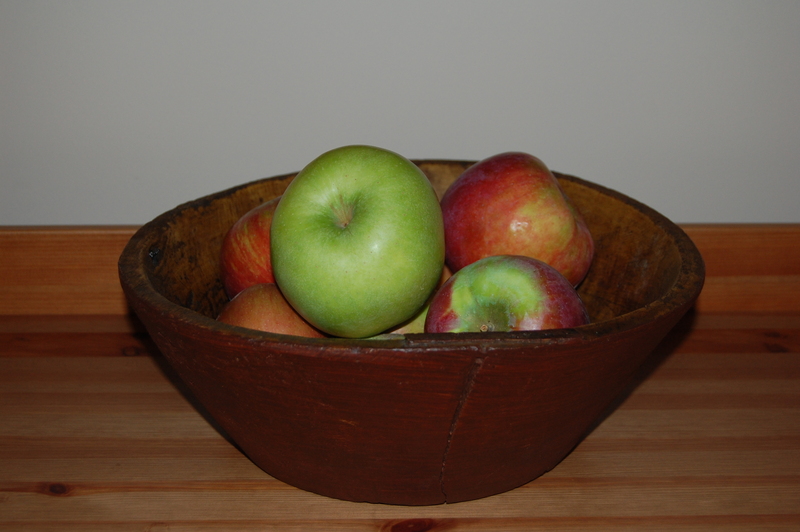 A medium large, bright red, round apple with a slightly tart taste. 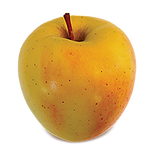 Rome is considered on eof the finest baking apples available. First propagated from seed in 1828. Ripens mid-October. 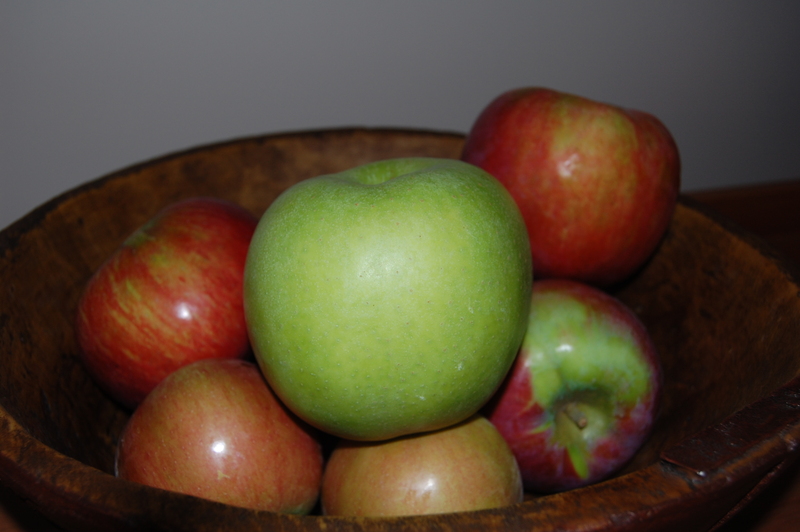 Green-yellow skin witha red semi-stripe. Flesh is cream-colored, sweet and juicy. Introduced in a 1978, a cross between a Macoun and Purdue. An all-purpose apple. Ripens in early October. Greenish yellow to yellow. Good for cooking. Introduced in U.S. in 1968. Ripens mid-October. 1. I chose only three apples because they were so big. 2. Peel the apples and slice them. 3. 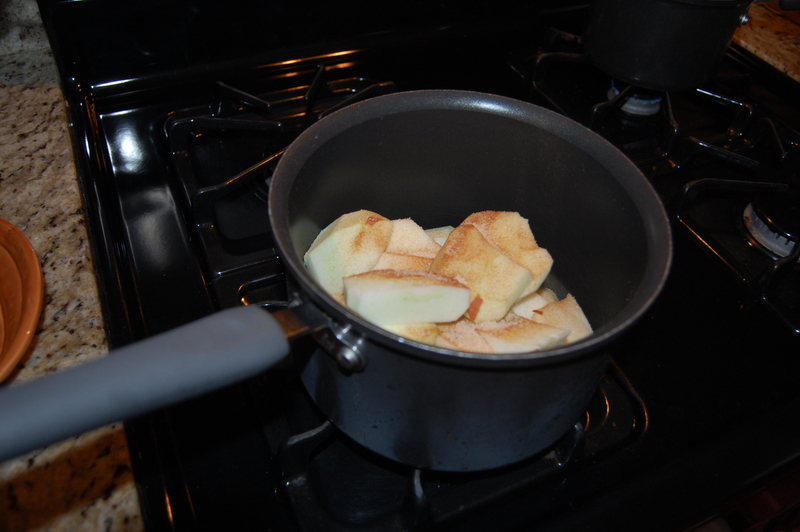 Put the apples in a pot over medium heat and sprinkle cinnamon and sugar over them. 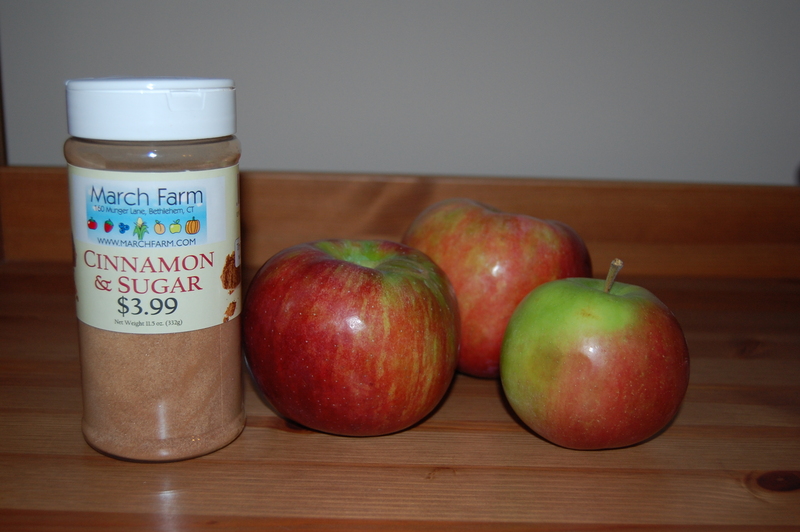 I used a premixed cinnamon/sugar that we bought at the farm. 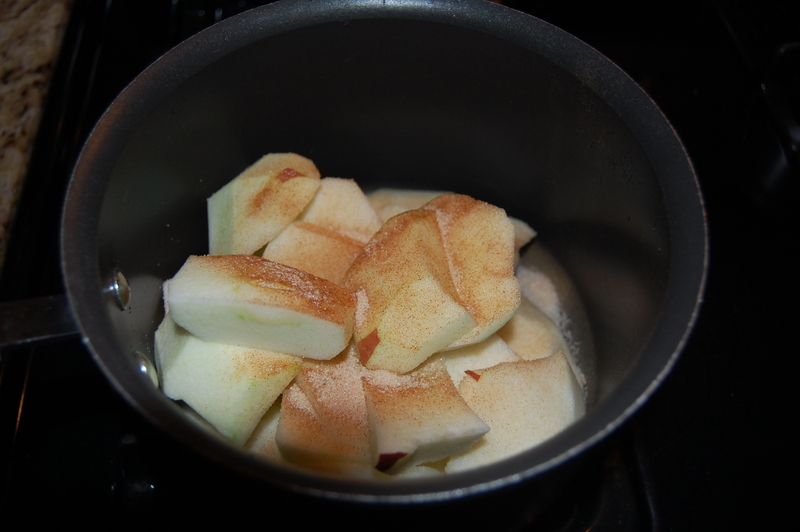 Stir to mix the cinnamon and sugar in well with the apples. 4. Cover and cook over medium/low heat, stirring frequently. 5. 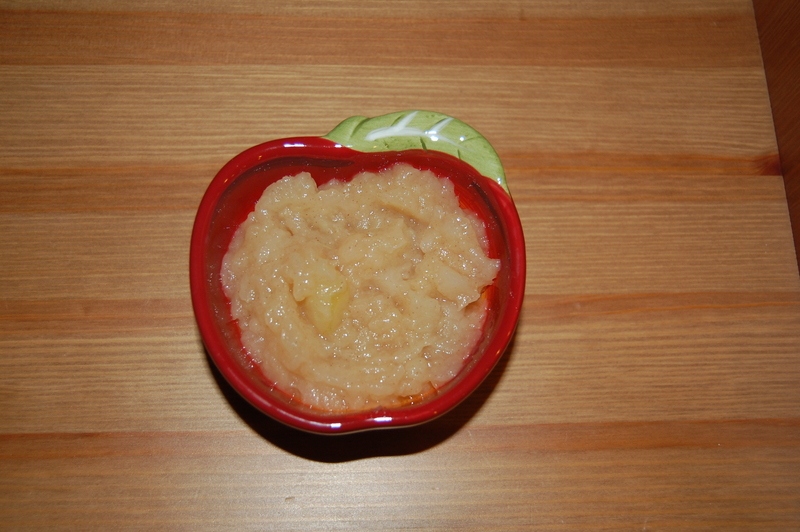 When apples are soft and tender, you can use a fork or a potato masher to mash the apples into a sauce. 6. Mix well and serve warm or cold. 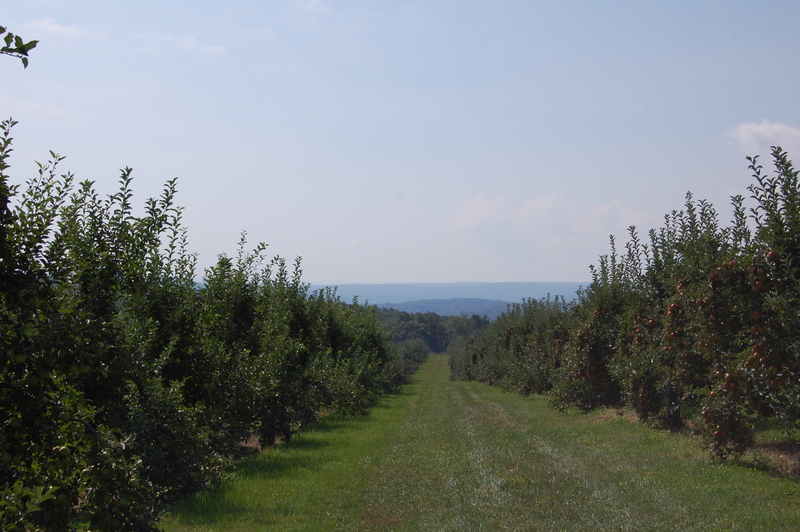 This entry was posted in Recipes and tagged apple picking, apple picking in connecticut, apple picking in new england, apple recipes, apple varities, apples, autumn, fall, fall apple picking, new england.